﻿ Video clips "Love in Venice"
10th anniversary, Live in Maastricht. 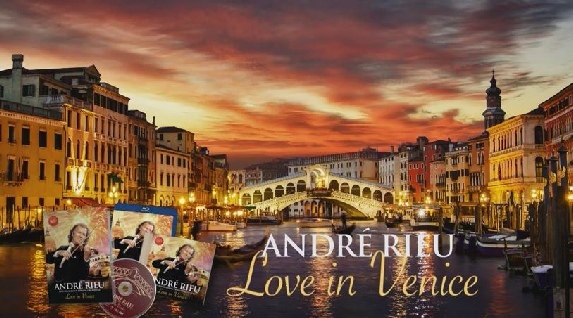 André promotes his new album with 18 funny video clips in a row, recorded around his castle or on the Vrijthof Square in Maastricht. Duration video: 20 minutes. Wonderful memories of the July 2014 Vrijthof concerts. 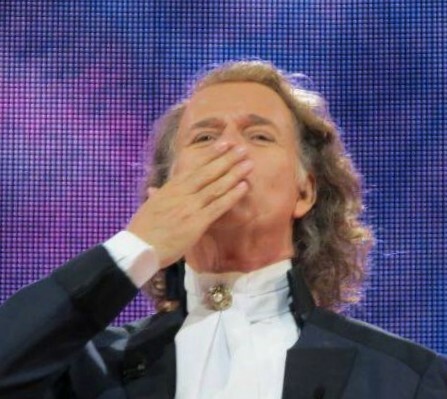 The new album is for sale via André’s website www.andrerieu.com . Thank you for loving my new album! The new album landed on the first place in the official UK Classical Charts Top 10. Second place was Rieu Royale and fourth place December Lights. Three Andre Rieu albums in the Top 10! In the USA Andre Rieu landed on #2 on Billboard’s Traditional Classical Chart. Read the article in the Harmony Parlor, click HERE.